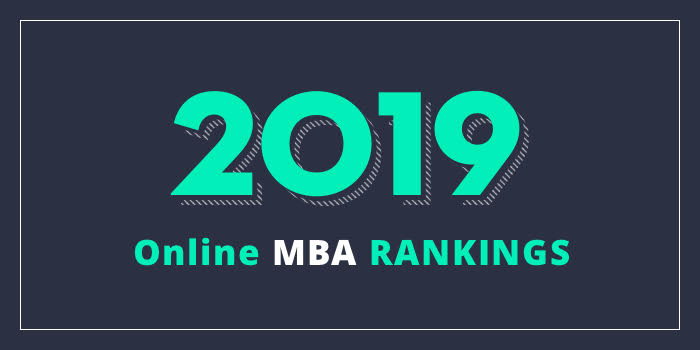 Our 2019 rankings of the Top Online MBA Programs in Georgia. For an explanation of ranking criteria, click here. Implemented in 2001, the Georgia WebMBA is “designed for professionals who want to earn their MBA without the restrictions of set class times and locations,” says the school. This means, after an initial onsite two-day orientation in Atlanta, all required activities are exclusively online. At orientation, students will build teams and create team contracts, and interact with program faculty and administrators. Students will also “attend a panel discussion comprised of current students and alumni.” All students must successfully complete this mandatory orientation prior to starting the first semester. The program, which is jointly offered by six University System of Georgia Schools, consists of 10 courses. Course highlights include Global and International Business, Entrepreneurship, Human Behavior in Organizations, Managerial Decision Analysis, Strategic Marketing, Management Information Systems, and Operations and Supply Chain Management. Students will complete two online courses each term and there are no required electives. Students may complete the AACSB-accredited Georgia WebMBA in five consecutive semesters within a year and a half. This accelerated option allows students to begin the program in January or August. The Eugene W. Stetson School of Business and Economics at Mercer University offers an online MBA that is says is “tailored to meet the needs of busy working professionals already employed in the business sector who wish to further develop management and leadership skills.” The program, which utilizes interactive technology to “facilitate a dynamic learning environment,” features classes that are moderated by the same “highly credentialed” faculty as the in-class MBA programs. Course highlights for the 36-45 credit hour program include Ethical Leadership, Issues in Business Law and Corporate Responsibility, and Marketing Concepts and Practices. Students also have the opportunity to complete a dual degree. Options include MBA/MAcc, MBA/PharmD, MBA MDiv, and the MBA/DPT (Doctor of Physical Therapy). Students who progress through the program at the recommended pace can earn the Stetson Online MBA degree in as little as 18 months. Students also have the option to attend some classes in a traditional classroom setting (hybrid). Students are admitted to the program five times per year in August, October, January, March and May. Mercer University’s Stetson School of Business and Economics is AACSB-accredited.